AT&T and Amazon Web Services today announced a partnership that will allow connected devices on AT&T’s network to more easily and securely transmit data into the AWS cloud, marking a strategic integration of their Internet of Things platforms. AT&T says it has nearly 29 million connected devices on its network in 200 countries as of the second quarter of this year. AT&T and AWS will be working to preconfigure devices on the AT&T network to send and store data in the AWS cloud. 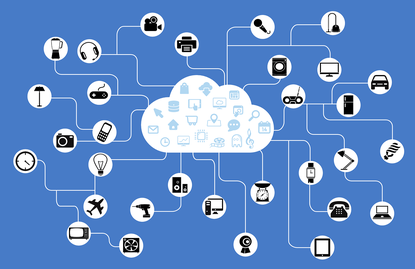 AWS IoT is a set of services in Amazon’s cloud designed specifically for managing the influx of data from IoT devices. The partnership comes as the IoT market is expected to grow rapidly in the coming years. Last year research firm IDC predicted that IoT would be a $1.7 trillion market by 2020, up from a $656 billion market in 2014. For Amazon, the news is a win as one of the leading network providers has chosen to integrate its network platform with the company’s cloud. For AT&T, it’s an extension of the company’s strategy to not compete with vendors such as AWS, Microsoft Azure and Google Cloud Platform in offering public cloud infrastructure as a service, but instead focus on building network connections for its customers to the public cloud. The two companies also announced plans to expand development of NetBond. AT&T says it will enhance visibility of network traffic on NetBond and strengthen security between AT&T customer networks and AWS’s cloud using NetBond. It did not provide any more specifics on how or when this would be done. AT&T does not publicly provide pricing information for NetBond. AWS’s IoT platform is made up of other services offered from its IaaS including AWS Lambda (an event-driven computing platform), AWS Kinesis (a platform for streaming real-time data), Amazon’s Simple Storage Service and its DynamoDB NoSQL database, among others. It’s priced based on how many messages the platform receives, starting at $5 per million messages. AT&T’s IoT platform combines modules that can be connected to or implanted in a wide variety of devices connected to a range of network connectivity options. The news of AT&T partnering with AWS marks the third pact the networking company has announced this week. On Wednesday, AT&T announced it would enter the SD-WAN market with a product based on technology from startup VeloCloud. AT&T also announced that its FlexWare SDN hardware platform will be available in IBM’s cloud.